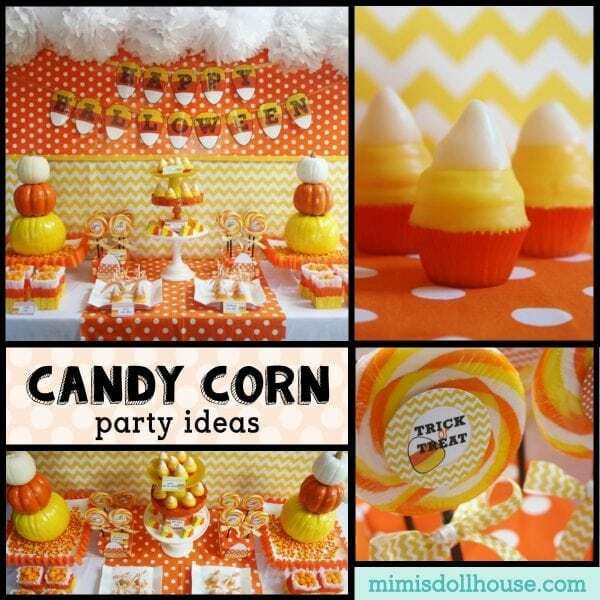 Halloween: Candy Corn Party Ideas. 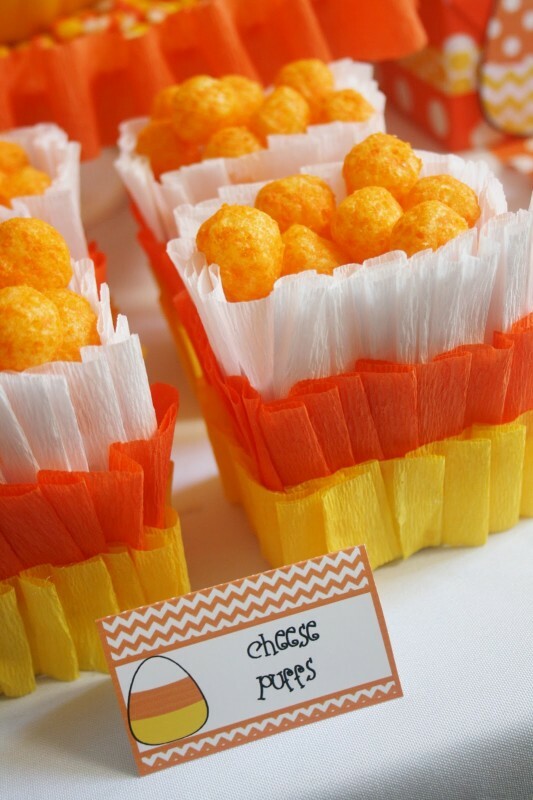 Throw a Halloween party Candy Corn style with these amazing candy corn party ideas! 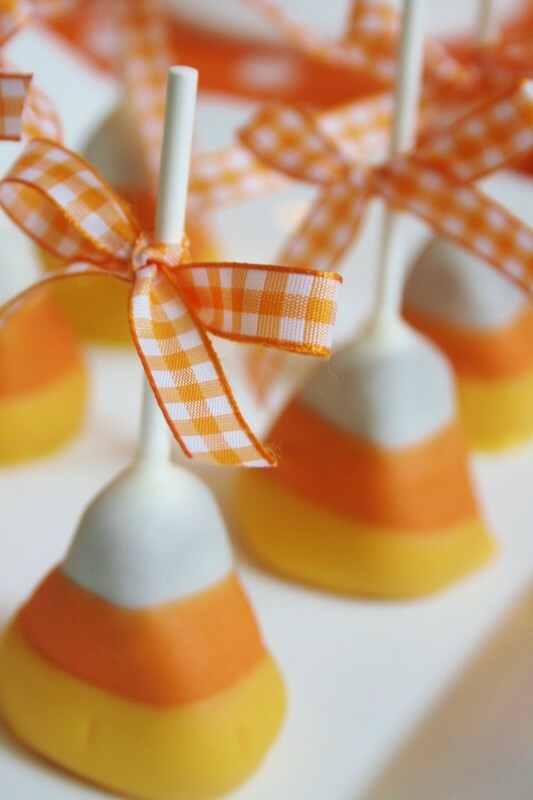 Check out these fantastic Candy Corn desserts! 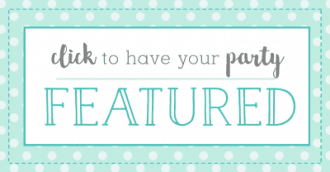 Looking for Vampire Party Ideas? 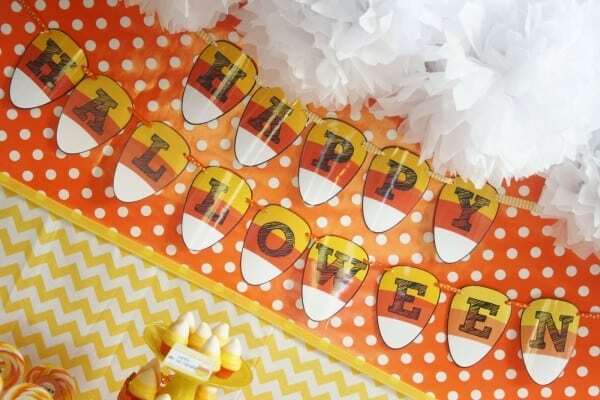 Be sure to also check out these recycled Halloween ideas, candy corn Halloween party, DIY Halloween costumes and grab some FREE cute Halloween printables! 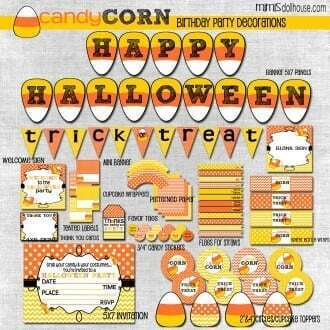 Also, grab these Candy Corn printables so you can also throw a candy corn party! 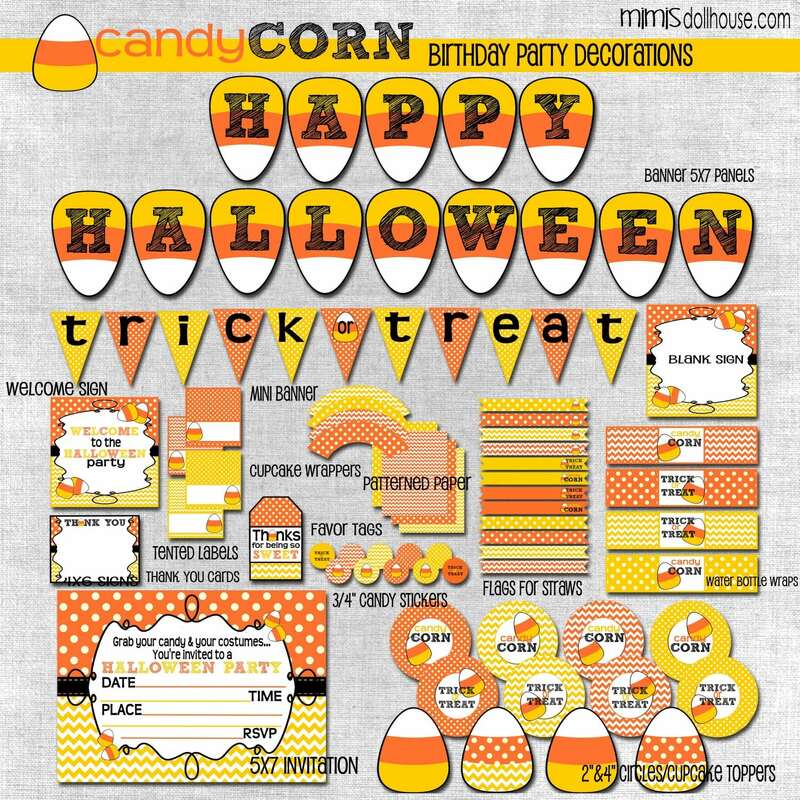 What says Happy Halloween better than some Candy Corn? 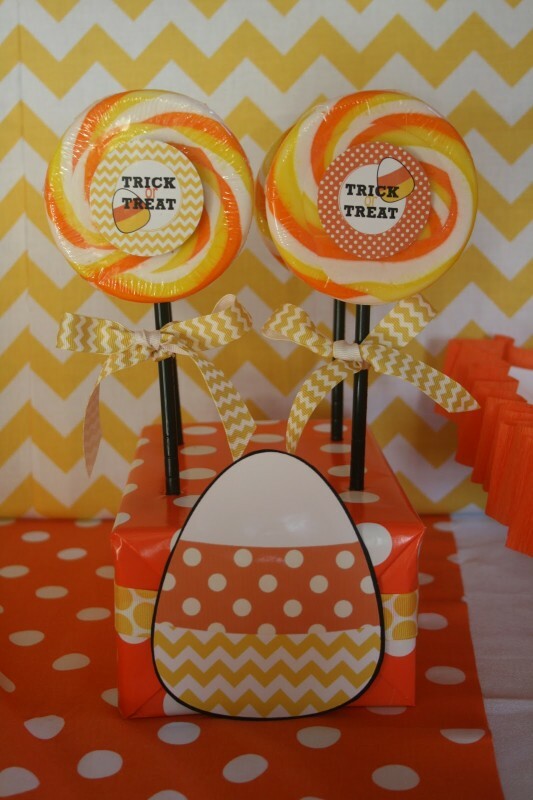 I LOVE, LOVE, LOVE cupcake toppers on lollipops….so cute. 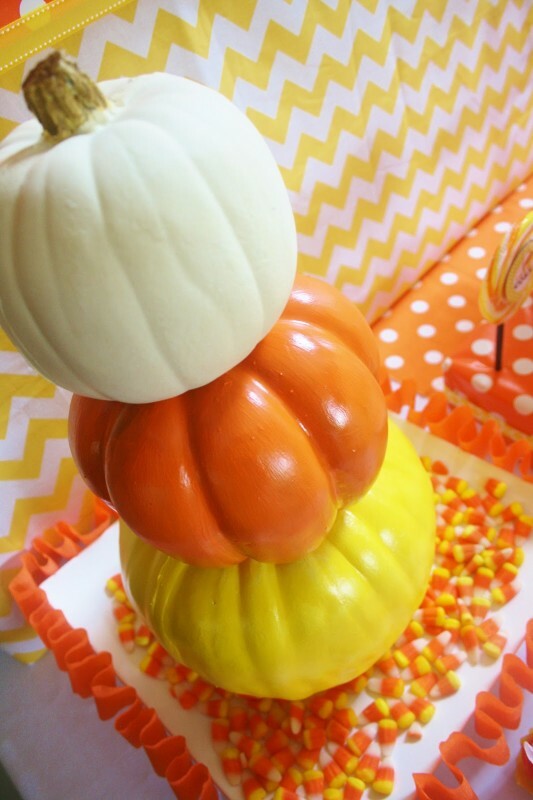 And ok…yummy…cupcakes with butter cream frosting dipped in candy melts…too cute, right?? 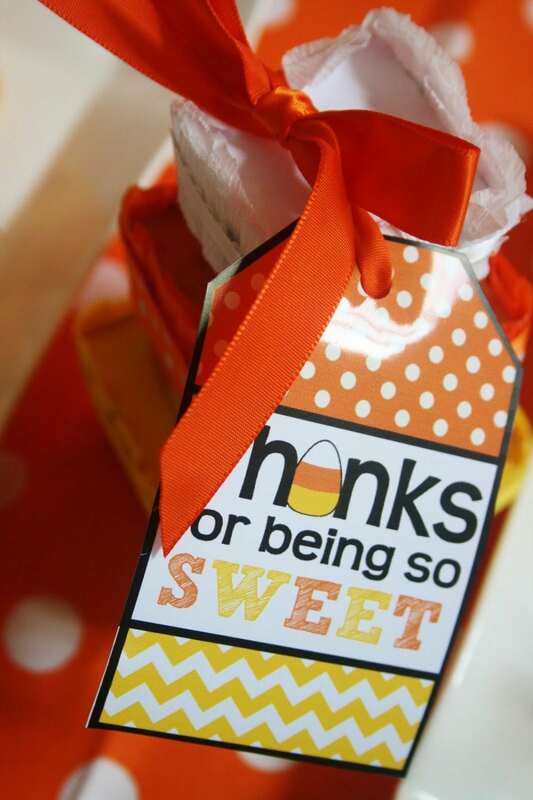 I also LOVE these layered treat boxes…so cute and full of goodies!! 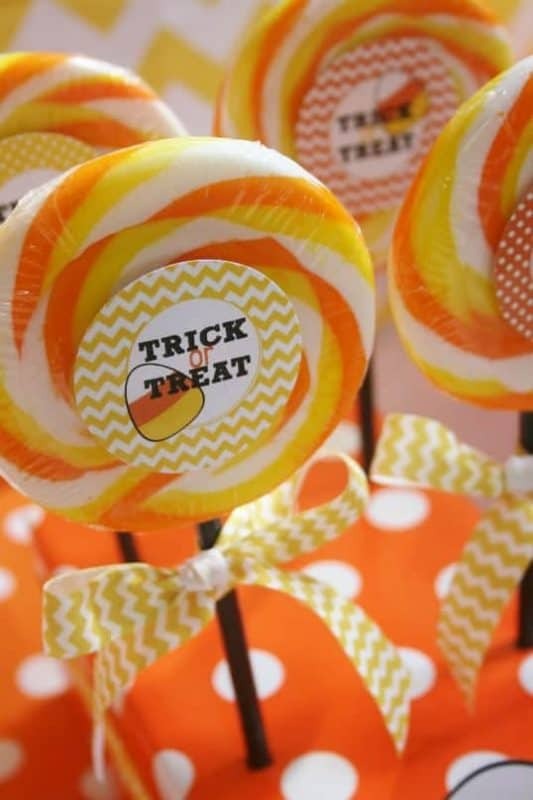 The girls had a Halloween Treasure Hunt and found these at the end. 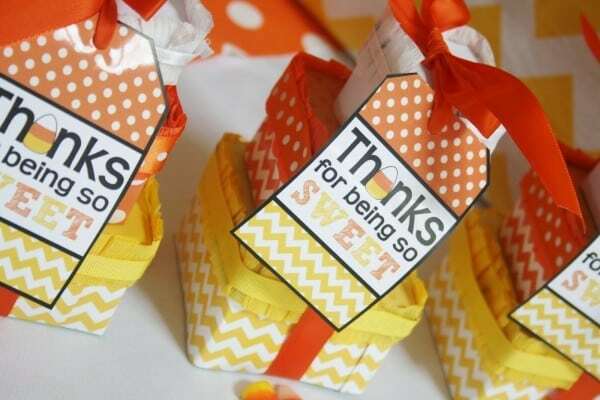 Kate covered some cute stack-able boxes with the patterned paper from the printable set and topped them off with the favor tag…pretty nifty, right!?! 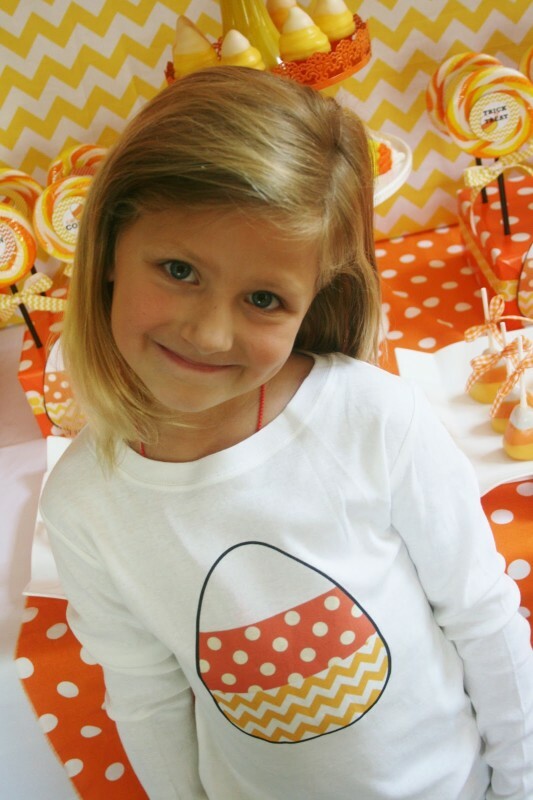 Kate even put the candy corn design onto a t-shirt for her daughter to wear…too, too cute!!! Want more??? 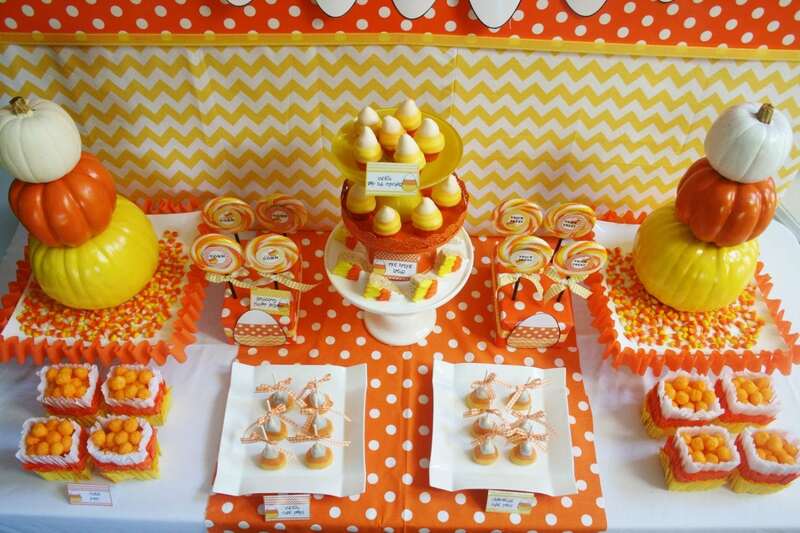 Check out the details on And Everything Sweet. 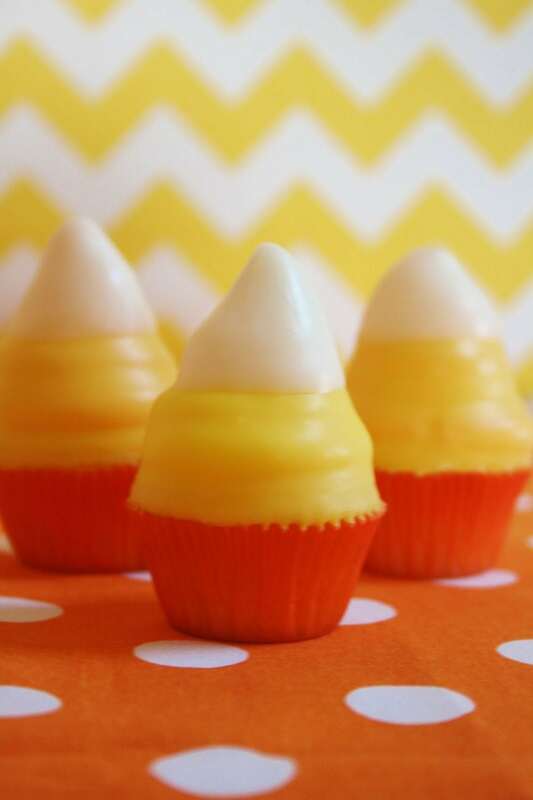 Check out these fantastic Candy Corn desserts! Looking for Vampire Party Ideas? 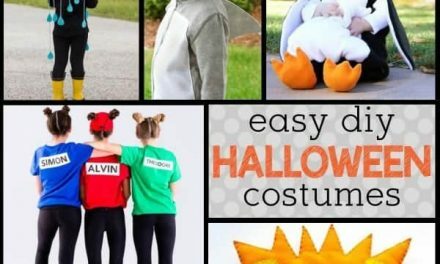 Be sure to also check out these recycled Halloween ideas, candy corn Halloween party, DIY Halloween costumes and grab some FREE cute Halloween printables! 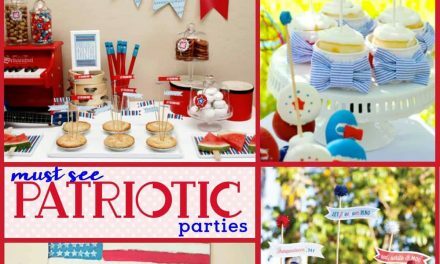 Fourth of July: 8 Patriotic Parties that will make you see STARS! Oh my, you’re certainly going all out! 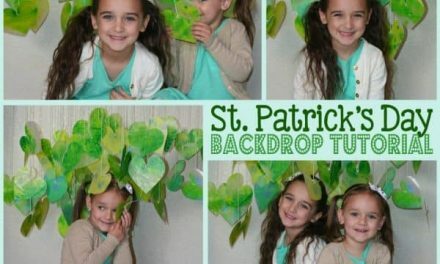 This is adorable, and it’s clear you put a lot of love into the party. This is soo good. Thanks so much for sharing. My kids would surely love this. They both are so in love with candy corn. Wow, so creative! I especially like the pumpkin decorations and the decorated cupcakes. 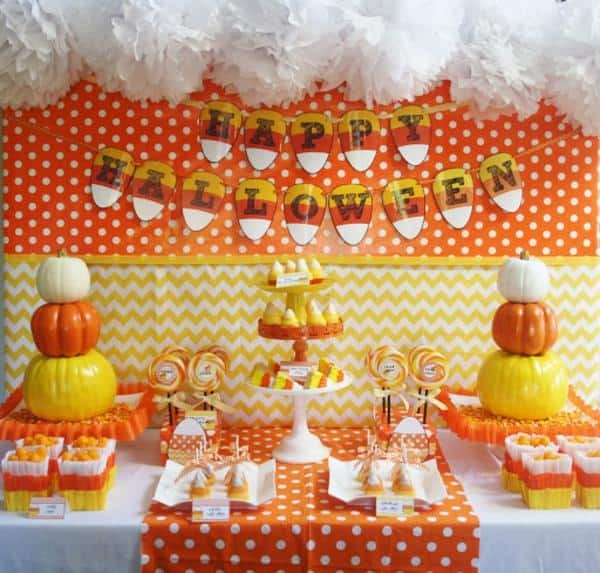 This makes me want to throw a Halloween party. This is super cute! I love the pumpkins stacked up and painted. We are doing a fall fest and I am going to have to use some of these ideas. 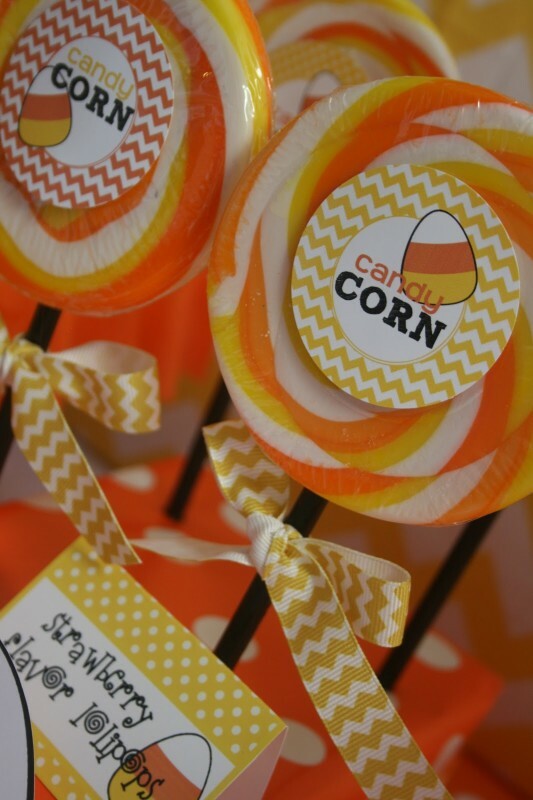 Who doesn’t love candy corn? 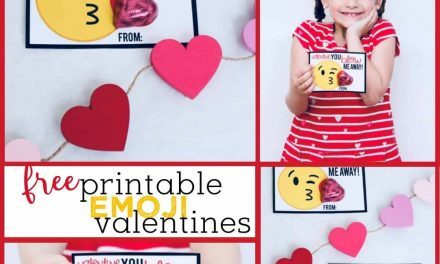 What a cute idea.